As time goes on the world is becoming more and more environmentally responsible, reflect your customer’s views by distributing our promotional eco-friendly bags. These are high quality items that make attractive promotional products. Made from hardwearing woven Jute, bamboo and cotton, these naturally sourced and sustainable materials will show your company in a positive light. The printed cotton bags are the perfect alternative to single use plastic bags at the supermarket, and will make shopping trips much easier. There are styles to suit all, from the drawstring duffle bag, to the large shoppers with sturdy handles, ensuring they are more than able to carry all of your heavy and bulky items. These eco friendly bags have large surface areas, making them a brilliant canvas for your logo or slogan. Bystanders will be sure to notice the branding on these promotional products and remember your company. Society is becoming much more concerned with living more sustainably, reusable bags are one of the easiest ways to look after the planet, and with the many ways to customise here at allbranded, it can be a fashionable one too. Environmental protection advertising is becoming an important aspect to businesses. Shoppers are reusable, and therefore reduce consumption of plastic bags, which is estimated in the UK alone, according to the Federal Environment Agency, to be several billion per year. Reusable promotional bags made from natural fabrics such as cotton and woven jute are brilliant advertising tools because their reusable nature allows your customers to keep them for many years. The longer they keep your promotional bags the more brand impressions can be made, spreading awareness of your brand. Would you like to present yourself to your customers, employees and business partners as an environmentally responsible company? 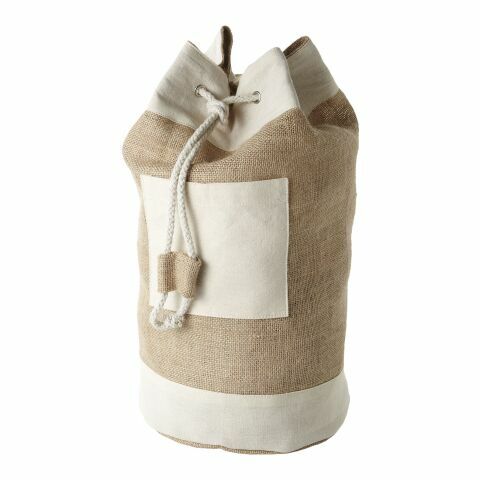 The cotton handles have a high level of comfort, and are durable as well as resilient. These promotional, reusable bags are small and lightweight enough to fold up and put in your suitcase or bag, so your clients are prepared for unplanned shopping trips. These biodegradable, promotional bags can be given out at trade fairs, festivals, concerts and store openings. The large surface area allows you to print your promotional advertising message in large, which will make a huge impact on your target audience. These make excellent stand alone gifts, but also could be part of eco friendly themed gift bags, this could include our pens made from bamboo, our organic sweets in compostable wrapping, and our note pads made from cork. There is a broad range of styles and materials to choose from in the allbranded web shop. There are bags made from cotton, as well as bamboo and strong woven jute, there are tote styles and a canvas bag, with short handles or long ones. Some come with a large main compartment and a small front pocket. You also have the option to have your corporate artwork printed on the front. Our cotton bags have an advertising space of 38 x 42 cm, ensuring all onlookers will see your branding. Bags are not just helpful accessories, they are also an extension of character, and a fashionable addition to outfits. If you are in the rush, you can always order some of ours express printed bags. 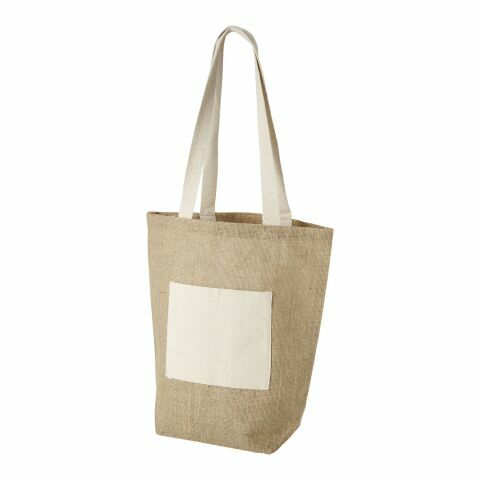 Help your customers to shop sustainably with style, with these promotional eco friendly bags. With the ecological bags made of biodegradable cotton and woven jute from allbranded, your customers will respect your commitment to looking after the environment. Once you’ve chosen your preferred style and colour, you can also have your corporate design printed on the front. The ordering process could not be simpler. If you have any questions or need advice on the design process, please give us a call, or send us a message in the live chat function at the bottom of the screen. Our experienced account managers will be pleased to help you.